Save on JUVÉDERM® VOLLURE™ and Say Goodbye to Wrinkles! Dr. Kriet and Dr. Humphrey are excited to share that we are now offering the latest addition to the JUVÉDERM® filler family, JUVÉDERM® VOLLURE™! VOLLURE™ is a longer lasting facial filler used to reduce the appearance of fine lines and wrinkles. 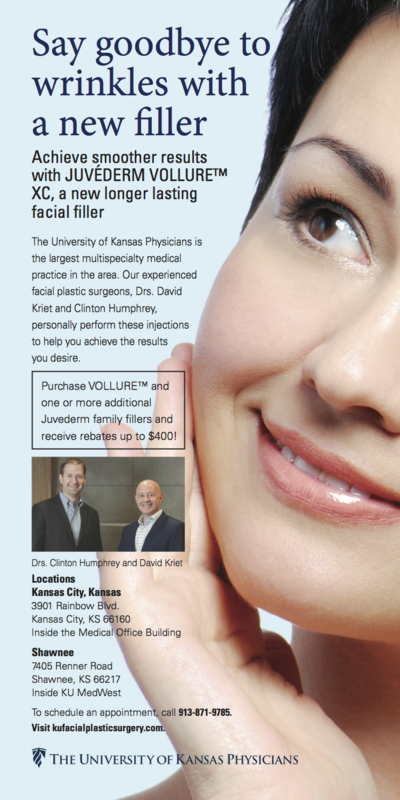 Purchase VOLLURE™ and one or more additional JUVÉDERM® family fillers and receive rebates up to $400! Contact us today for more information and to schedule your appointment. What Are the Benefits of Eyelid Surgery? Can an Eyelid Lift Improve Vision?